How do I make my story private? All stories are private be default. 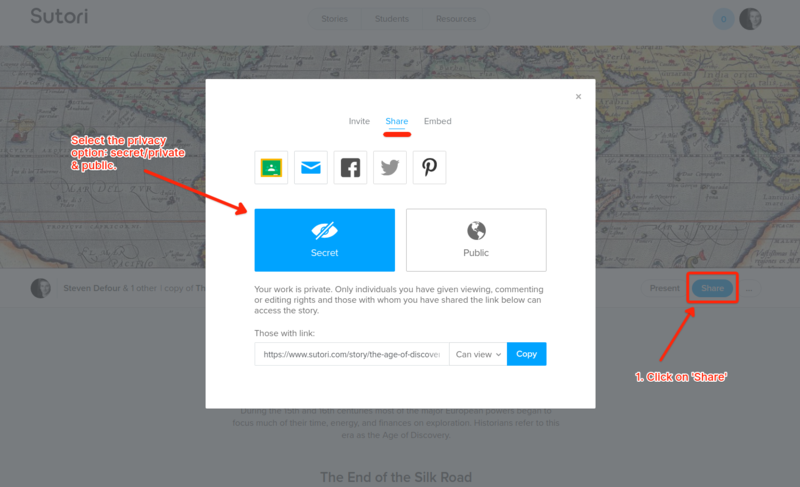 You can make a story public at any time by clicking on &apos;Share&apos;, just under the banner on the right. Go to the &apos;Share&apos; tab and you&apos;ll be able to set the privacy to secret (private) or public.